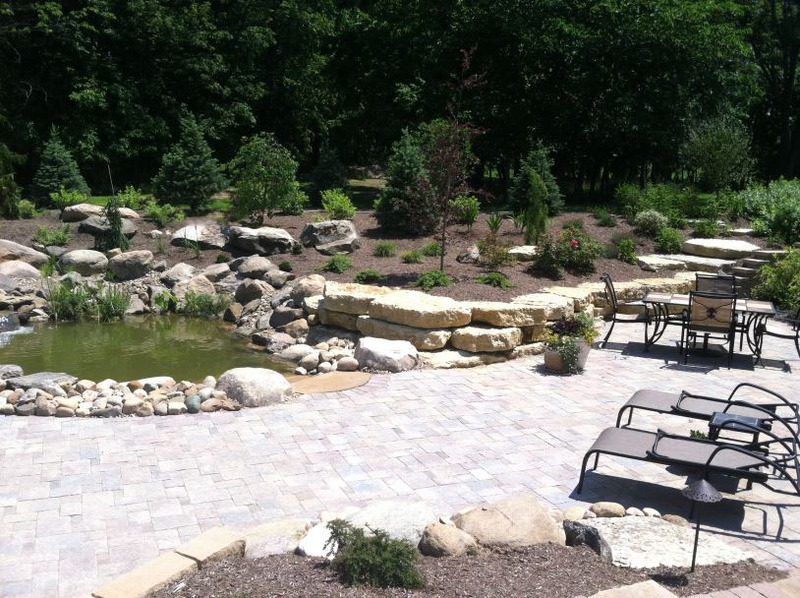 Hardscape design with paver patio leading to a beautiful water feature surrounded by landscaping installation beds. Hardscape design with paver patio surrounded with rock boulder landscape with pines, spruce trees, and shrubs. 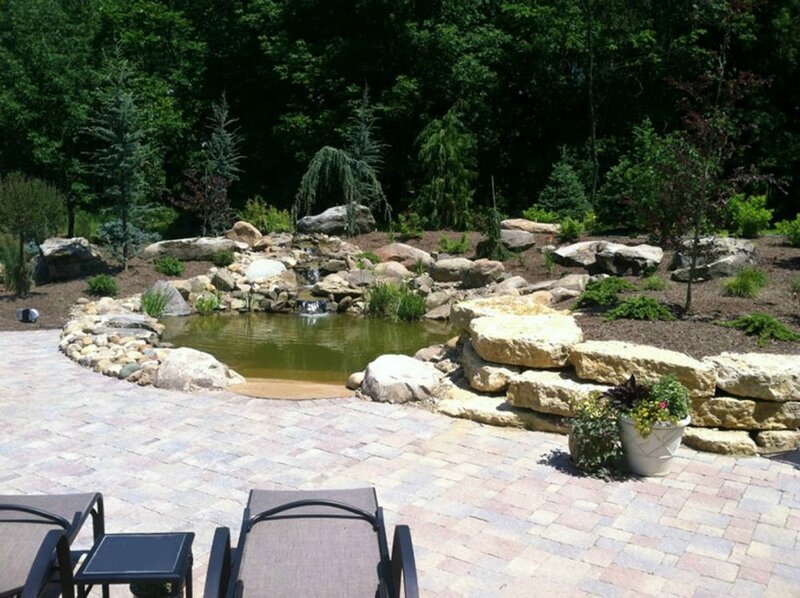 Rocky landscape design with hardscape design features that include: paver patio, water feature, and evergreen tree landscape. Step-in water feature with boulder rock landscape full of evergreen trees and shrubs that is surrounded by a paver patio. Landscape waterfall feature with rock boulder design. 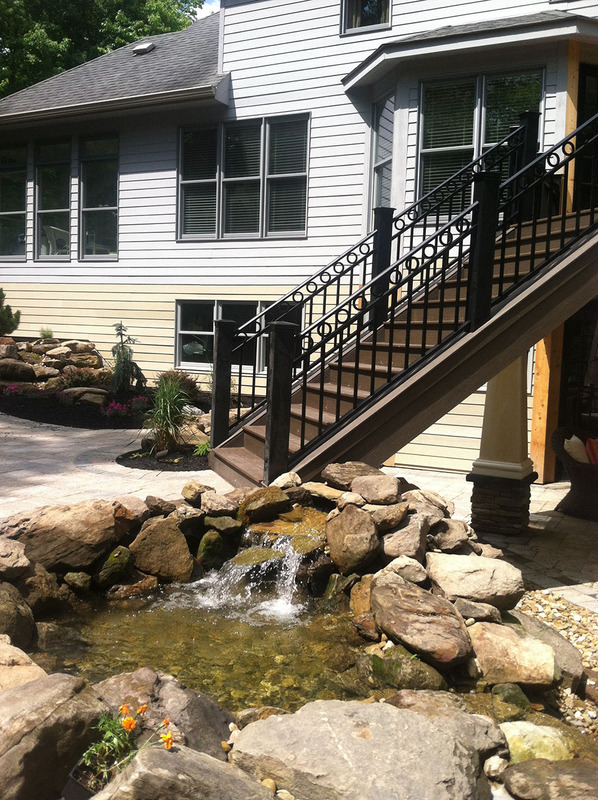 This water feature is part of this rock boulder landscape design with overhead bridge. 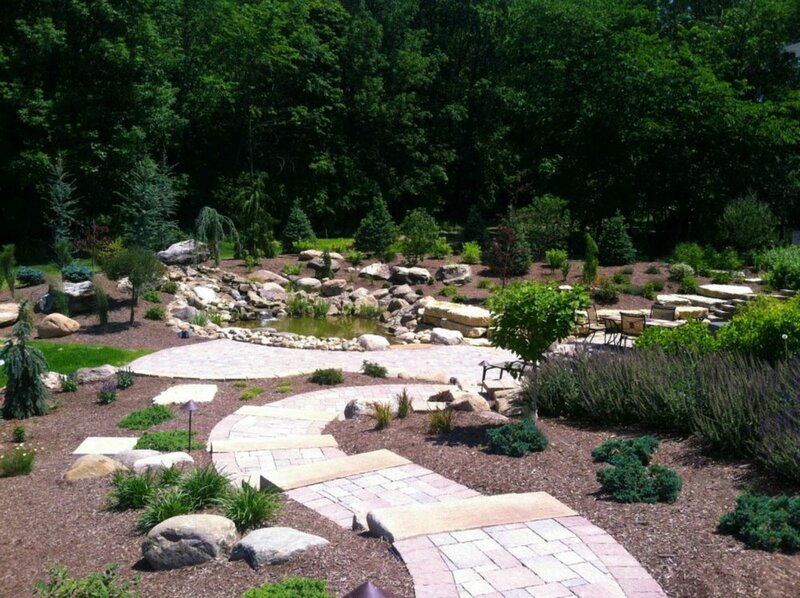 This angle is shown at the top of our water feature design landscape that features rock boulders, rare evergreens, and shrubs that surround the stone walkway. Putting green landscape design that features retaining walls and landscape installation beds. View from the top of creative putting green landscape design that features retaining walls and landscape installation beds. Landscape design with water feature that is complemented with shrubs and evergreens.